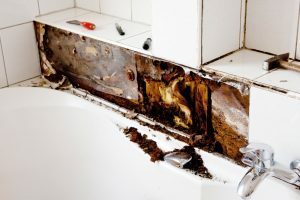 If mold is something you more commonly associate with food that’s hung out in the fridge for too long, then any commercial buildings you own or manage could be in danger. Sticking with the refrigerator analogy for a moment, the fuzzy stuff is attracted to forgotten leftovers because the food is an organic substance on which to grow. Turn the lights down (when the fridge door is closed) and the humidity up, and it’s a perfect breeding ground for mold. However, because mold can grow on just about any organic surface where moisture and oxygen are readily available, the interior of your commercial buildings is not all that different from your home refrigerator. Add to the matter that spores are invisible to the human eye but make their way from outdoors to indoors with ease, and you could have a mold problem growing without even knowing. Exposure to indoor mold comes with a variety of health issues and allergic reactions. Those most affected by mold growth and present mold spores are people with allergies, asthma, or weakened immune systems. But that doesn’t mean people who aren’t sensitive can’t become so with prolonged mold exposure. People living or working in moldy conditions may start out with symptoms such as irritated skin, nasal congestion, itchy eyes, or difficulty breathing. If the exposure continues or increases in severity, reactions could worsen to include upper respiratory infections, chronic lung illness, and chest inflammation, according to the CDC. Eliminate the health risks associated with mixing mold and human contact by following these tips to prevent mold from growing inside your commercial buildings. Stay vigilant: Mold can be sneaky, growing in places you may never have thought. Create a routine inspection plan, specifically searching for signs of mold or where mold might grow: damp surfaces, high moisture areas, spotty or fuzzy stains on walls, floors, and carpeting, and musty smells. If you employ janitorial staff or contract this work out, request to be notified of any moldy areas or areas where mold could grow. Make repairs: Cracked foundations, leaky roofs, and unsealed windows and door frames are all problems ripe for causing mold to grow. Repair building issues as soon as they occur, and always try to catch leaks and water damage before the wetness can lead to a moldy disaster. Decrease moisture: The climate or geographic location in which your commercial building resides may mean humidity is always at a high. Since damp air makes it easy for mold to grow, consider installing dehumidifiers, or running smaller units in basements, attics, and such to help keep things dry. Clean at the core: Your building’s heating, ventilation, and air conditioning (HVAC) can increase the blowing around of mold spores. While it may not be 100 percent stoppable, you can reduce the transfer of spores by making sure the HVAC system and ducts are regularly cleaned and maintenanced. Bring in a pro: Every commercial building’s needs are different, so sometimes to effectively prevent mold from growing, you need a mold remediation specialist to custom tailor a plan to fit your structure. Working with a mold remediation specialist can help ensure that any existing problems are responded to quickly and that moving ahead, you’ll stay free and clear of mold-related damage and health concerns. 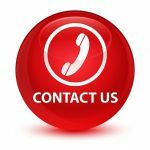 We are a certified black mold remediation company, with more than 33 years of experience. Our mold remediation procedures follow all EPA and OSHA guidelines as well as industry standards defined by the Institute of Inspection, Cleaning and Restoration Certification (IICRC), Restoration Industry Association (RIA) and other industry certification protocols. A&J Property Restoration DKI provides black mold remediation estimates and services for homes, businesses, and commercial buildings around Madison, Middleton, Sun Prairie, Waunakee, Portage, Milwaukee, Brookfield, WI Dells, Fort Atkinson, Watertown, Oconomowoc, Waukesha, West Allis, and surrounding Dane County Wisconsin areas.